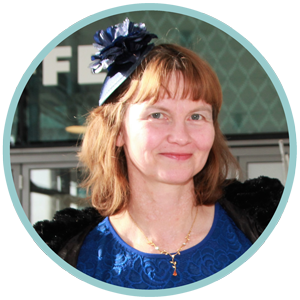 I am Irina (Dyomkina) Porter, and I am a qualified Blue Badge Guide. Having been born and grown up in Moscow, in Russia, from my teenage years I have had a keen interest in English history, literature and culture. I am a typical Anglophile, fascinated by all things English! Between 1986 and 1991 I studied at the Moscow State Linguistic University, specialising in English history and culture, and qualified as an interpreter and as a teacher of languages (equivalent to a Bachelor of Arts degree). From 1992 I lived in England and worked first as a legal secretary/interpreter at Freshfields in the City of London, and then as a freelance translator and interpreter. Working for a variety of City firms and private clients, I enjoyed showing them around London and other sites in England, and have been working towards becoming a full time tour guide. In February 2005 I qualified as a Blue Badge guide, having undergone the most demanding and rigorous training and passed the tough theory and practical exams. 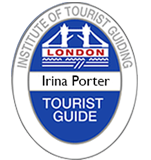 Blue Badge is the top qualification of Britain’s professional registered tourist guides. I also received the Chief Examiner’s Prize for my year. My wide interests and knowledge of all aspects of British history, culture and modern life help me make my clients have an informative, and above all, enjoyable time on their visits. 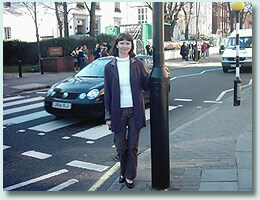 I can conduct tours both in English and Russian, having previously worked as a tour guide in either language. One of my life long passions is the Beatles. I have done a lot of research on the subject of their life and music, contributed articles to various publications and took part in radio and television programmes on this subject. 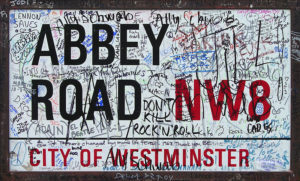 When in Moscow, I used to run the Moscow Beatles Fan Club, and between 1992 and 1997 I was a secretary of the London Beatles Fan Club, running it together with Richard Porter, who later became my husband. Richard has been a full time Beatles tour guide for 15 years, and based on our joint expertise I also offer the Beatles walking and coach tours, both in English and Russian. More on the Beatles tours here.